SOLD to be a herd sire in a commercial breeding home. 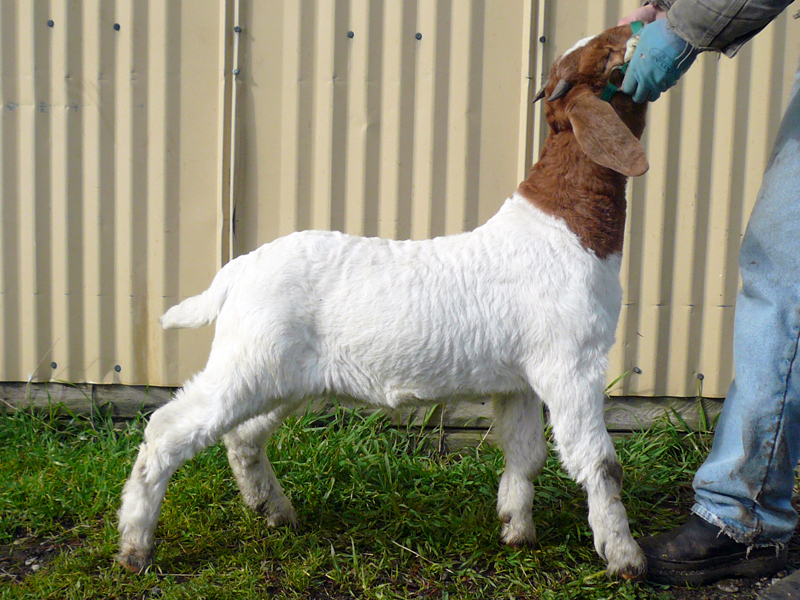 This buckling is well-muscled and growing fast! He was 50 pounds last week and we tried to weigh him today and he topped out our scale capability at this time. If you are interested in purchasing him, please e-mail us! This entry was posted in Market Announcements on April 1, 2012 by Liz Clark.